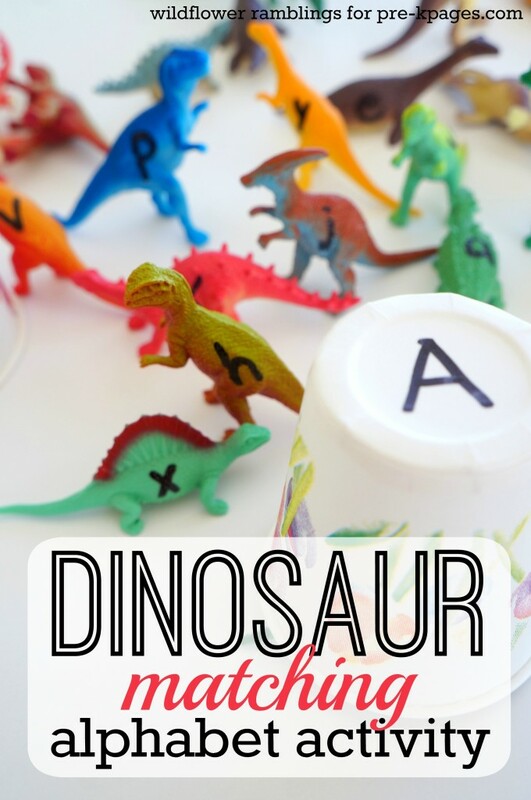 This dinosaur alphabet matching game will help your preschoolers learn uppercase and lowercase letters. Children will love to find the correct home for the little dinosaurs! Learning to match uppercase and lowercase letters is a challenge for children. Some of the “big” and “little” letters look similar, but many do not. Children are essentially learning 52 letters when they learn the alphabet. Presenting the challenge of learning the letters and their shapes as a game will make learning fun and more accessible to children. This dinosaur matching game is appropriate for any preschooler or kindergartener still working on recognizing letters of the alphabet. Print the lowercase letters on the dinosaurs. Print an uppercase letter on the bottom of each cup. Cut out a large piece of green felt into a dinosaur mat. Introducing the activity on a mat helps a child contain the activity to one area, or space, and helps him independently focus carefully on the task at hand. If you don’t have felt, use a plain colored blanket or mat. Set the homes (cups) on the mat. Ask children to put each dinosaur in his home. 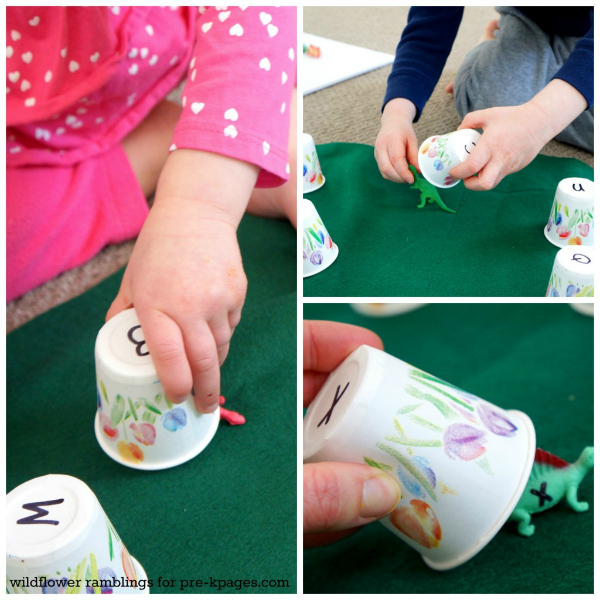 Preschoolers will enjoy matching the lowercase letter on the dinosaur to the uppercase letter on the cup. Talk about the letter as the child places the dinosaur in its home. Or ask the child to name the letter. 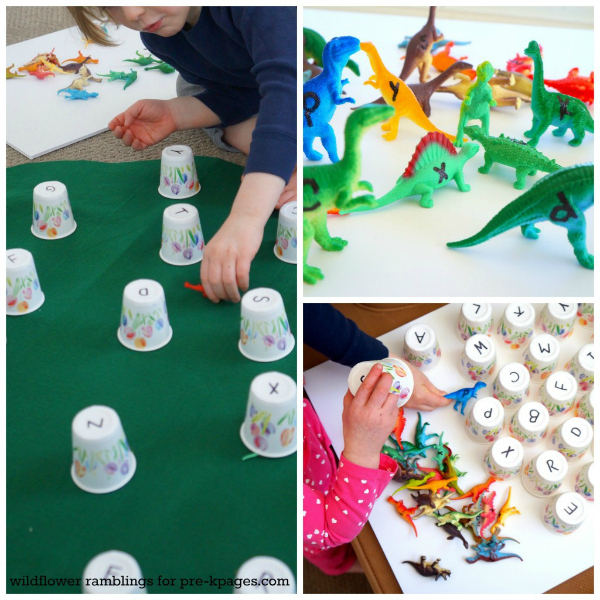 Print uppercase letters on both the dinosaurs and cups for children still learning their uppercase letters. Use egg cartons for the dinosaur homes instead of cups. Line up all the dinosaurs in alphabetical order. Line the cups up in alphabetical order. Choose a dinosaur. Ask the child create the letter with small blocks or write the letter on paper. What fun ways to help your preschoolers learn uppercase and lowercase letters! BIO: Amy Smith, M.Ed., writes about preschool and homeschooling at Wildflower Ramblings. As a former kindergarten teacher, she is passionate about interest-based learning and literacy. You can download her free eBook Early Literacy Stages or free ABC Lego Cards. You can connect with Amy through her weekly newsletter, on Facebook, and on Pinterest. 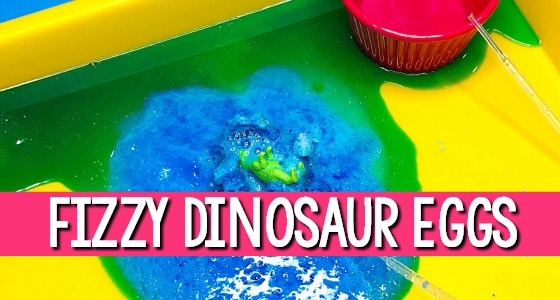 Dinosaur Sensory Bin (Pre-K Pages) – With this sensory bin, your preschoolers will have so much fun digging for dinosaurs! 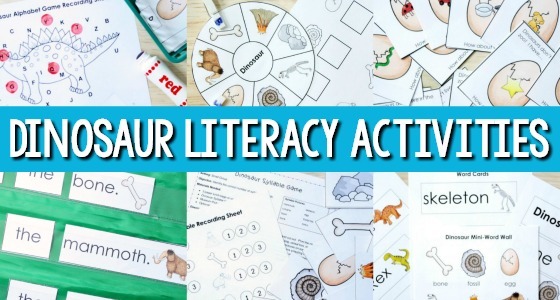 Dinosaur Literacy Activities (Pre-K Pages) – You can help your kids celebrate all the different types of dinosaurs by extending the learning into your literacy center activities. Dinosaur Math Activities (Pre-K Pages) – As your kids participate in these fun, hands-on dinosaur math center activities around a common theme, they will begin to develop important math skills that will help them build a solid foundation for future math success. 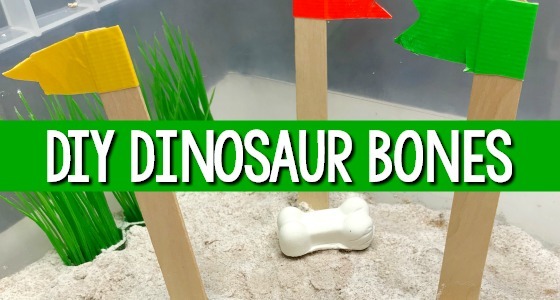 DIY Bones for Dinosaurs Dig (Pre-K Pages) – Here’s a super quick and easy recipe to make your dinosaur bones. 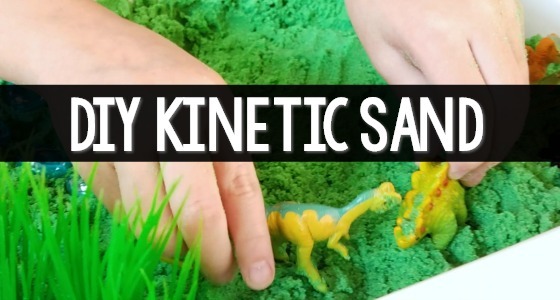 Your little paleontologists will love digging for pretend dinosaur bones in your sensory table! 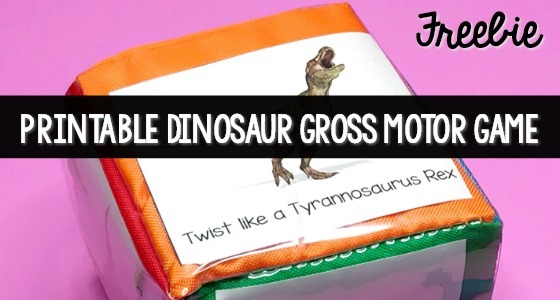 Dinosaur Roll and Move Game (Pre-K Pages) – When it comes to doing a dinosaur theme in preschool, you just have to expect some extra excitement. You can channel that excitement and turn it into a fun movement activity with this printable that promotes taking turns, movement, and developing attention spans – all at the same time. 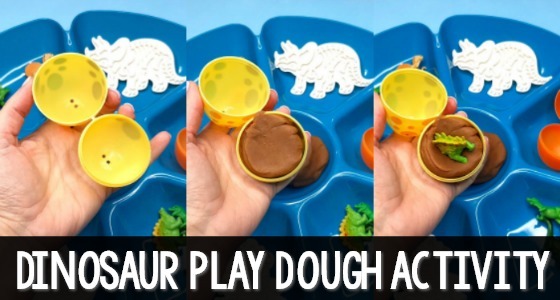 Dinosaur Play Dough Activity (Pre-K Pages) – A dinosaur theme is always a huge hit with young children in the classroom. Their natural interest in dinosaurs sparks their curiosity and magically lengthens their attention spans. 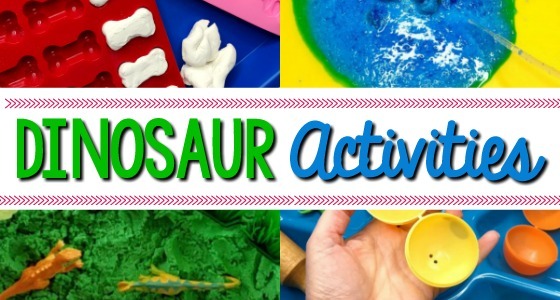 But dinosaur play doesn’t have to be limited to the block center, your kids can have fun learning and playing with dinos in the play dough center too. 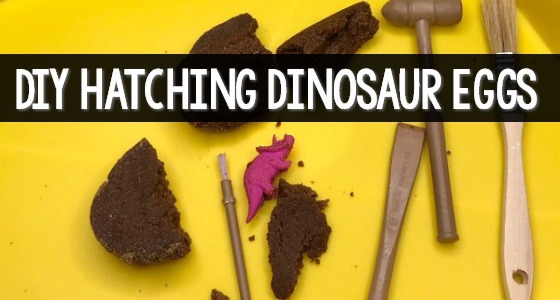 DIY Hatching Eggs (Pre-K Pages) – One way to capitalize on children’s natural curiosity and interest in dinosaurs is to make hatching dinosaur eggs using this easy play recipe. Your kids will have a blast cracking open these pretend dinosaur eggs in your sensory bin or table!